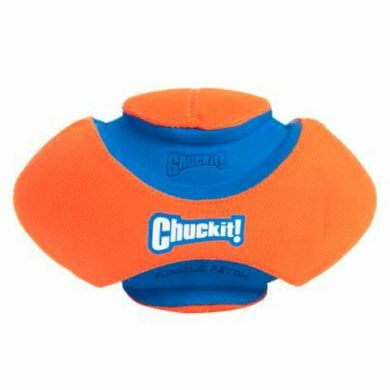 The Fumble Fetch makes canine footy puncture proof! Punt it, kick it or roll it for hours of entertainment. The ChuckIt! 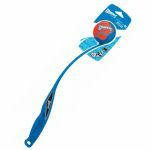 Fumble Fetch Dog Toy is an innovative toy that's durable and fun. The irregular shape makes for an unpredictable bounce. 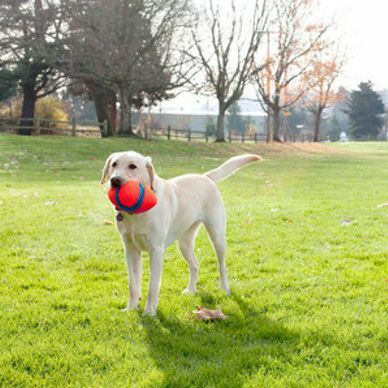 The grooves make it easy for your dog to pick up and carry. 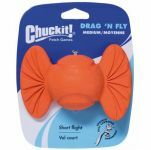 Great for dogs with natural chasing and herding instincts. 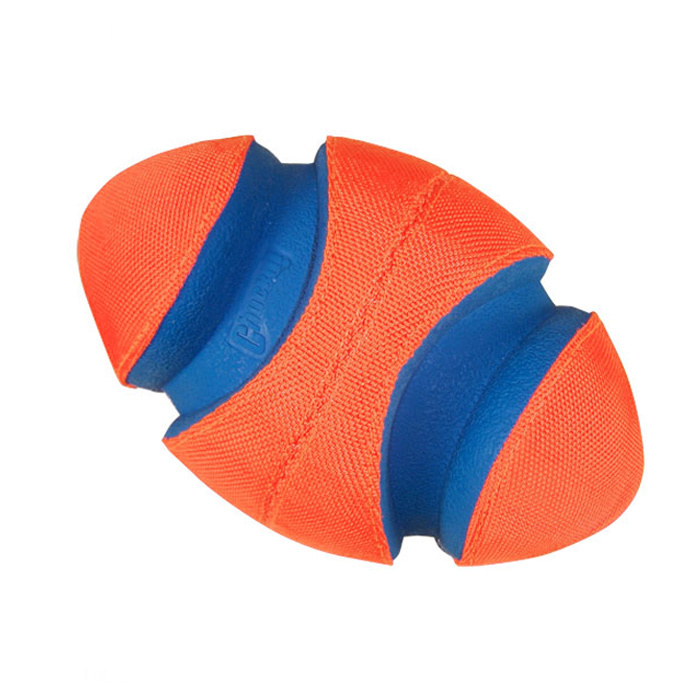 With the inverted variable welt, the Fumble Fetch is easy for your dog to pick up. 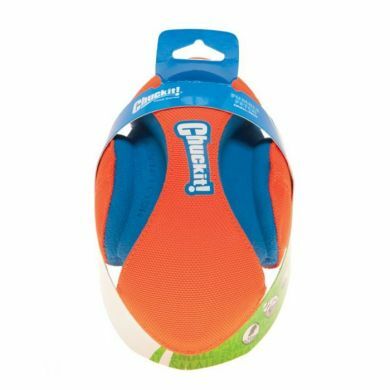 Puncture proof - no air!